Hello friends, as we have announced this article before, without further prelude, we enter the heart of the matter! Today we talk about common fines of Malagacar.com customers, places where they usually get fined and how we proceed in processing these fines. Where our customers are getting more fines and what of type are they? The most common fines are from Granada due to travelling on restricted streets which are only authorized for allowed vehicles (Fine 28 €) or on bus / taxi lanes (Fine 40 €). Granada does not notify the driver neither by local police nor leaving tickets on cars, because the offense is captured by traffic control cameras. From the municipality Almuñecar in Granada we receive many fines for parking in Blue Zones without ticket or exceeding the specified time. We also receive fines of the municipalities of Malaga (Fuengirola, Marbella, Estepona, Ronda) and these are usually for parking in blue zones without ticket, or exceeding the specified time, or double parking, or parking in areas for pedestrians, etc. These fines range from 25 € to 200 € depending on the infraction. Not always the ticket is attached to the car or notified at the time by the police and thus is a source of anger and distrust of our customers. 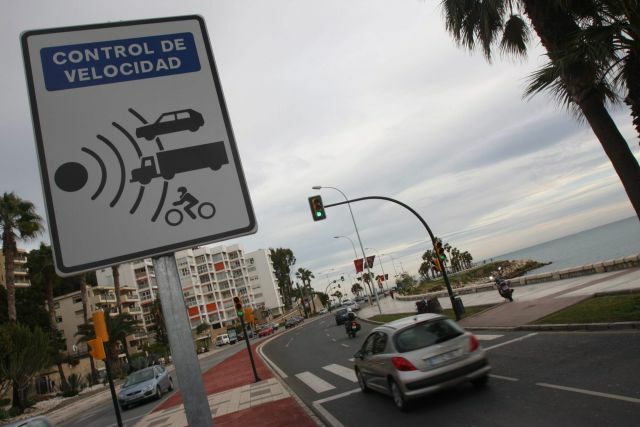 Malaga City Council also sends us fines, mostly for speeding (restricted to 50 km/h) caught by radar in Avenida Andalucia and Calle Pacifico; these fines are 50 €. Also double parking, parking on sidewalks, etc. … of varying amounts. The Council also issues fines from Malaga airport; customers leaving the car parked outside arrivals or turning right at the roundabout at the entrance to our office. All fines must be processed, and therefore the customer is charged 30 € administration fee. All customers are informed of this in the booking confirmation (which they usually don´t read). The customer is identified as the driver and from there Malagacar.com becomes separated from the fine. The client will receive the original notification to his name in his habitual residence and has to meet the payment within the time specified there. It is therefore important that the customer, when making the reservation, indicates his full address in order to receive the fine. We usually offer to help with the payment, because the documents are in Spanish. If the customer decides not to pay, surcharges or whatever will go against him, and not against us. Hi Simon, are you still here? I would try directly in Traffic department. I’ve forwarded your message to our administration team. Don’t worry, our staff will get in contact with you during this week to solve this. Hi there i have just been charged not 1 but 3 traffic offences for a total of €90!! They all occurred on the same day and in the same place, bloody Granada! As you can probably imagine i am not one bit happy about this. I have driven all over the world and i consider myself a very good confident driver and thus never picked up any traffic violations anywhere, not to mention 3 in the same day! We parked in pay car parks, we followed the SATNAV, was careful and never speed but still got done for a 3 fines. I also drove around Rhonda, Malaga, Marbella and El Chorro and not a single problem or fine there. Now i know its not your fault there Malagacar.com guys, you were actually very helpful on the day i rented my car and i would recommend you but bloody hell how does anybody expect to get around Granada with a car when the place is so locked down under so such strict security. You guys really need to issue prior warnings to your customers to make they are aware of how strict it is in Granada. As i can see from online research upon receiving the fine, Granada has a bad reputation for people getting caught with traffic fines for stupid little things that would just not fly here in Ireland where i’m from. Can anything be done? can you make an exception for rental cars? knowing that we are foreign to your country and not aware of such strict almost military like traffic violation control?! Or is it just a tourist trap to make some money. I hope this can be a warning to other renters and make people aware that you should not take a car to Granada but take the bus instead! 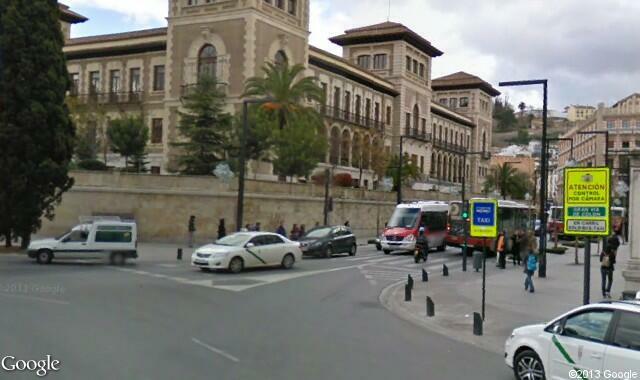 The most common fines from Granada are due to travelling on restricted streets which are only authorized for allowed vehicles (Fine 28 €) or on bus / taxi lanes (Fine 40 €); the offense is directly captured by traffic control cameras. In any case, we can only recommend driving into Granada and park the car straight away; the city centre anyway is best to be discovered on foot as there is hardly any parking space. Is there an online map Granada with the restricted roads marked? Hello Jim, please check this map from the town hall in Granada; it’s in Spanish yet you will be able to appreciate the restricted areas and streets. Just received an email from Maria at Malaga Car informing me that I have a fine for driving on a prohibited road. What a lovely surprise! 25 Euros deducted from my credit card for Malaga Cars admin fees with an additional fine of 28 Euros from the “traffic authorities”. I honestly cannot recall causing the offence. Judging by the comments on this page and a quick search of the internet this appears to be a common occurrence. I look forward to obtaining the additional proof from the traffic authorities. As you could check in the copy sent, the fine comes from the town council of Granada, which is the traffic authority regarding the traffic rules inside Granada city. As a very touristic city Granada is very strict with the traffic rules, specially in the city centre, and they use traffic cameras in the main streets. The offence you have committed is entering in a street/road which is only allowed to vehicles with authorization and once any vehicle is inside the road the cameras take the pictures, that is the reason why you were not notified by any policeman or you did not find any ticket in your windscreen, so you were not aware of breaking any rule if you missed the traffic signal. Moreover, we have identified you as the driver of the car so you can contact them directly if you wish to check further details. For this purpose you will be asked EXPEDIENTE number which is in the copy you have available. Now Ayuntamiento de Granada is in charge of sending your notification to your home address by post. Should any doubt arise do not hesitate to contact us. Is it possible to pay a ticket from Granada online from the USA? Hello Eric! If you need to pay a fine, please contact directly with our Administrations Department at administracion4@malagacar.com where they will explain you how to proceed. Regards! When recently returning a car – I saw the no right turn sign so went around the roundabout – but it still seems you can’t safely enter this road from the roundabout. In the end I pulled into Nisa Cars and then turned around and turned left out of Nisa Cars into the road. It doesnt appear to be a two way road when you immediately turn into it. Would I have been legally OK by doing this?? How are the council catching people? By camera? Hi James, as you said, you cannot turn right directly. You have to go to the roundabout and then take the narrow exit to the right (just before getting to Niza Cars). It may seem a bit risky, but drivers inside the roundabout have priority over the others coming from the main road. It’s not very common to get fined here, but from time to time there is a patrol car in the area, so I would do it right to avoid problems. How can I pay a traffic fine online? We received a parking ticket in Mijas Pueblo on Sept. 25. There are no instructions for paying online on the ticket and I tried the website you sent to Abdulhakim. But it won’t accept the ticket number, which is 9 numbers and not 12 as they request. Is there a way to pay directly to Ayuntamiento de Mijas? Please contact directly our staff at administration at administracion@malagacar.com. AAh, now I understand! As you can see from the photo, that right turn is so severe you’d be mad to try it. I went round the roundabout when I dropped my car off last year because it was an easier manoeuvre but, to be honest, I hadn’t spotted the sign. Thank you Glen for your feedback. Best regards from Malaga and see you soon! A photo of the roundabout/no right turn sign will be helpful. Thanks. your wish is our command! 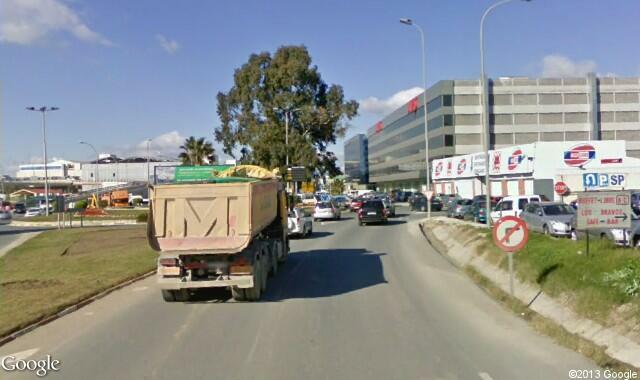 Attached you can see a picture of the airport roundabout with the famous traffic sign. Don´t be confused on your next trip by the environment; the tree unfortunately has been cut last week, but the traffic sign is still there! At the roundabout before reaching the airport and our office on the right, stands a traffic sign indicating that it is prohibited to turn right (for reasons of space, the street is very narrow and it is difficult to manoeuvre in a curve of 180°). Therefore, the right thing is to take the roundabout for entering into our street. Many drivers, however, (for convenience?) turn right directly, risking a traffic ticket. Thanks for this information. I have always turned right at that roundabout (can’t have noticed the traffic sign), but luckily without being fined. I will do the right thing next time. we are pleased that this information has been helpful to you. Have a nice day and see you soon!